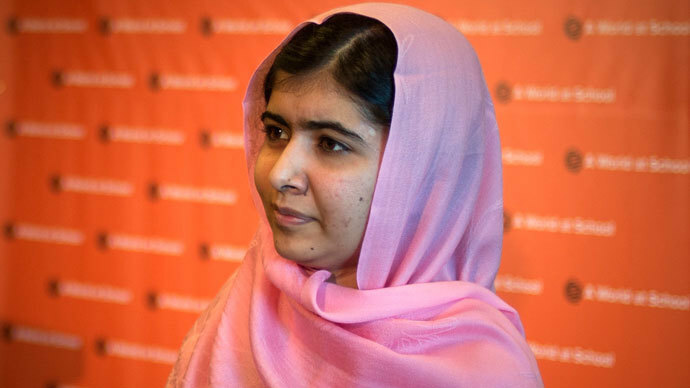 Malala Yousafzai, a Pakistani girl shot and injured by the Taliban for her human rights work, has been awarded the EU’s Sakharov Prize. 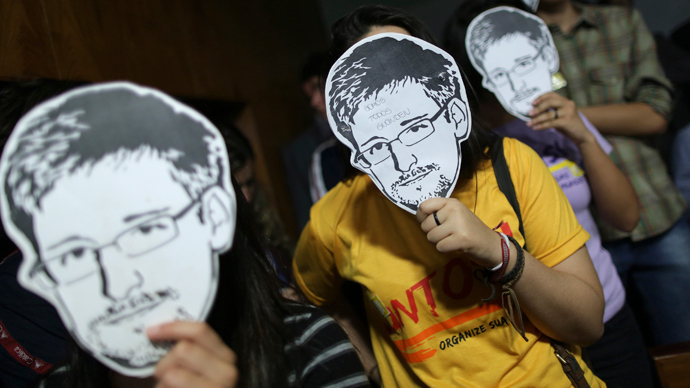 Apart from Yousafzai, the shortlist included NSA whistleblower Edward Snowden and three Belarusian dissidents. 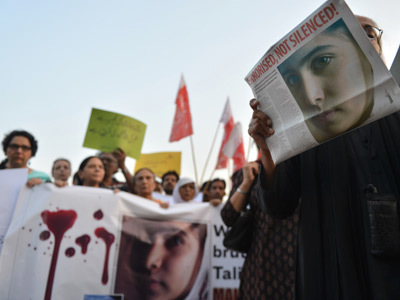 Yousafzai, who campaigned for rights of women in Pakistan through her blog and other digital media, was the target of an assassination attempt by the fundamentalist Islamic Taliban movement. She sustained gunshots to her head and neck but survived and received medical treatment in the UK. Her story made her a figure of global renown. 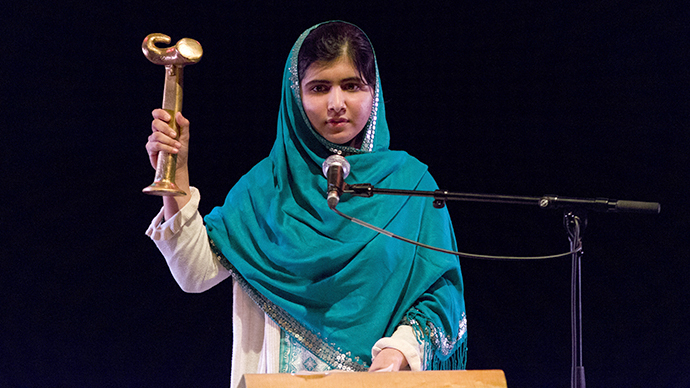 Last week the 16-year-old was given the Anna Politkovskaya Award, another human rights prize. She is also among the favorites to win this year’s Nobel Peace Prize. "It takes an exceptional human being to stand up to a regime such as the Pakistani Talban and when that human being is a young 16-year-old girl then that bravery becomes breathtaking,” said Guy Verhofstadt, leader of the European Parliament’s Liberal Democrat group that co-nominated Yousafzai for the prize. “The recent renewed threats to Malala's life have showed that those who tried to harm her are becoming increasingly desperate as the world's attention turns to this exceptional young woman. She is a most worthy recipient of the Sakharov prize and richly deserves the nomination for the Nobel Peace Prize,"he said in a statement. The Sakharov Prize, named after prominent Soviet human rights activist and nuclear physicist Andrey Sakharov, has been awarded by the European Parliament annually since 1988.